The disorder is associated with slow physical growth, unique facial features and intellectual disability. According to the Down Syndrome Federation of India, one in every 800 to 1,000 live births is a child with Down syndrome. March 21 is World Down Syndrome Day, the day established by the United Nations in 2012 to raise awareness and promote the rights of those with Down syndrome, also known as Trisomy 21. It’s a genetic disorder that arises from a defect involving chromosome 21 (usually an extra copy). In fact, it’s the role of chromosome 21 that led to the selection of March 21 as the observance day for Down Syndrome. So, why are mismatched socks used to raise awareness around Down syndrome? This creative initiative was started in 2013 and according to some advocates, socks were chosen because they are similar in shape to chromosomes. 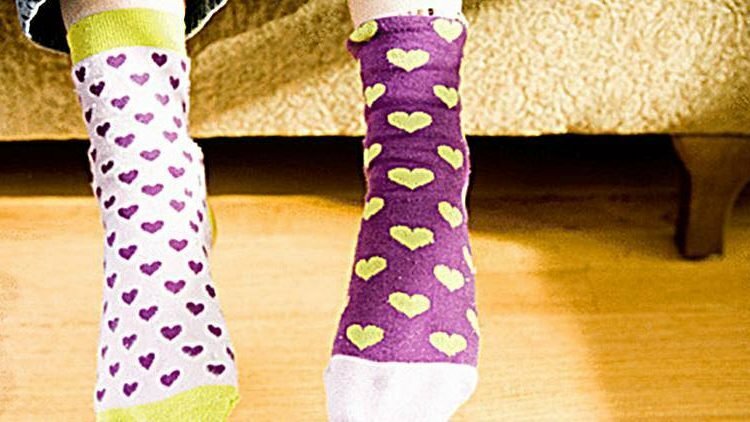 The campaign was later promoted as ‘Lots of Socks,’ and advocates around the world encourage people to wear colourful, mismatched socks on March 21 to mark the occasion and raise awareness around the disorder. With the help of this campaign, the voices of people with Down syndrome, their families and others who support them can educate society and influence government policies. Like all of us, people with Down Syndrome experience challenges and disappointments, but they also know hope, joy and success. With support from healthcare professionals, schools and others in their communities, many of them are reaching their potential and proving that anything is possible. So, when you’re preparing for the day on 21st March, put on a pair of colourful, mismatched socks to support people with Down Syndrome. It’s a simple way to draw attention to their needs and to share your love and support.